“If we will not change the ways that we are living and the environment and the chemicals that we are exposed to, I am very worried about what will happen in the future,” he said. Scientists not involved in the study have praised the quality of the research but say that it may be premature to come to such a conclusion. Dr Levine, from the Hebrew University of Jerusalem, found a 52.4% decline in sperm concentration, and a 59.3% decline in total sperm count in men from North America, Europe, Australia and New Zealand. The study also indicates the rate of decline among men living in these countries is continuing and possibly even increasing. In contrast, no significant decline was seen in South America, Asia and Africa, but the researchers point out that far fewer studies have been conducted on these continents. However, Dr Levine is concerned that eventually sperm counts could fall in these places too. 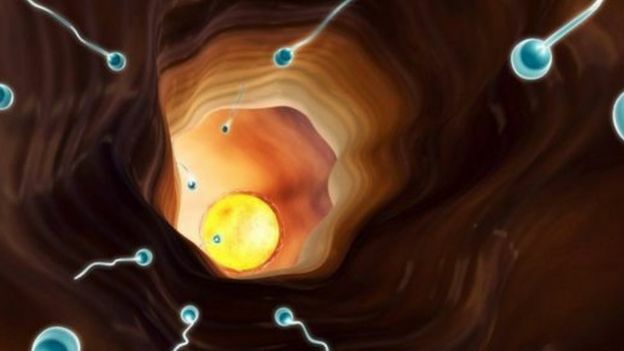 Many previous studies have indicated similar sharp declines in sperm count in developed economies, but sceptics say that a large proportion of them have been flawed. Some have investigated a relatively small number of men, or included only men who attend fertility clinics and are, in any case, more likely to have low sperm counts. There is also concern that studies that claim to show a decline in sperm counts are more likely to get published in scientific journals than those that do not. Another difficulty is that early methods of counting sperm may have overestimated the true count. Taken together these factors may have created a false view of falling sperm counts. But the researchers claim to have accounted for some of these deficiencies, leaving some doubters, such as Prof Allan Pacey of Sheffield University, less sceptical. But Prof Pacey believes that although the new study has reduced the possibility of errors it does not entirely remove them. So, he says, the results should be treated with caution. “The debate has not yet been resolved and there is clearly much work still to be done. There is no clear evidence for the reason for this apparent decrease. But it has been linked with exposure to chemicals used in pesticides and plastics, obesity, smoking, stress, diet, and even watching too much TV. Dr Levine says that there is an urgent need to find out why sperm counts are decreasing and to find ways of reversing the trend.